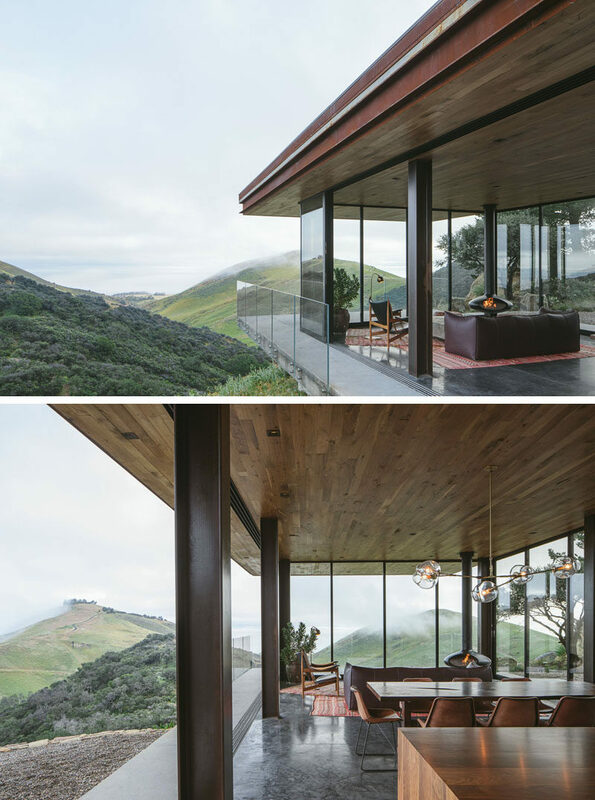 Dan Weber of Anacapa, together with Steve Willson of Willson Design, have completed the “Off-Grid Guest House”, that’s located in undeveloped coastal area in California. 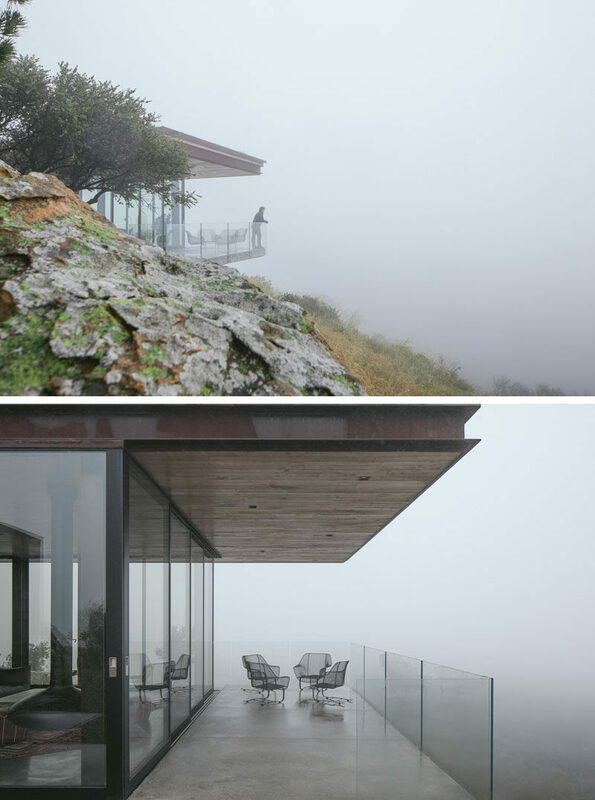 Nestled into a steep hillside, the residence was designed with a low visual and environmental impact on the surrounding landscape, and is disguised by having a low profile and a green roof. 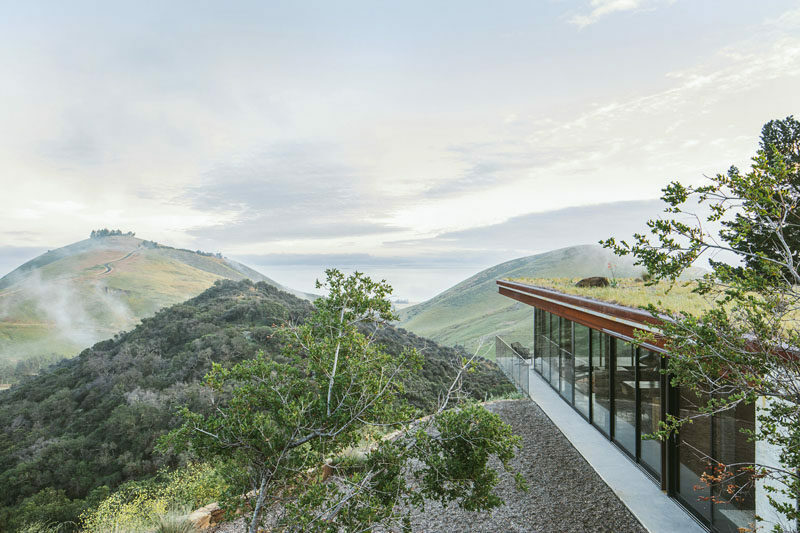 The house has sweeping views of the Pacific Ocean and surrounding rolling hills, that can be seen through sliding glass walls and expansive decks, which cantilever over the foundation’s steep rock face. 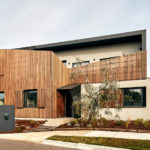 When designing the house, Dan and Steve employed green building practices, resulting in sustainable systems and material selection. 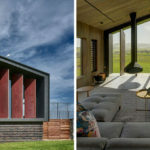 The guest house, as well as the owner’s nearby main residence, are completely off-grid out of necessity, as there is no electricity available in this remote area. It’s also 100% powered by a photovoltaic energy system. 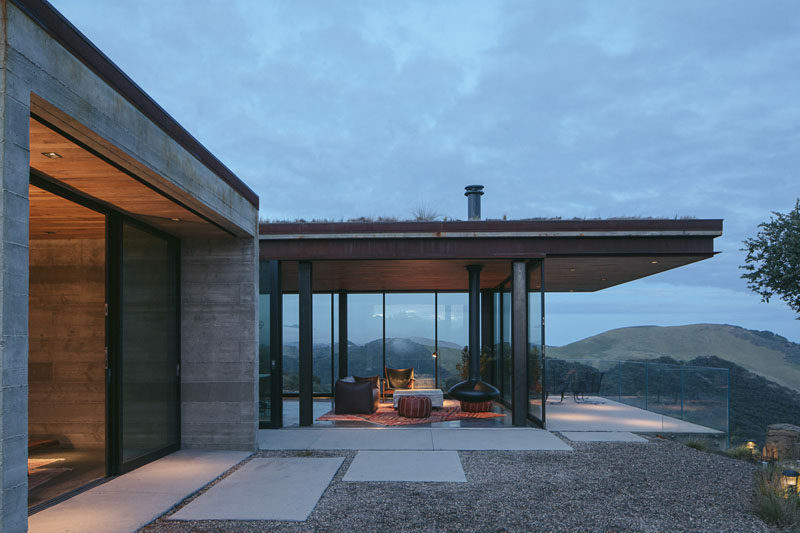 The house is elemental, made of materials that integrate seamlessly with the landscape and that will weather and patina naturally over time. 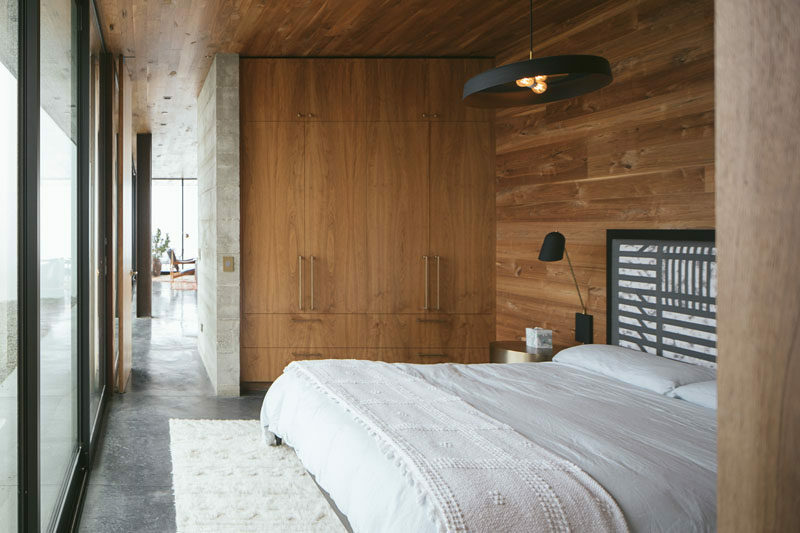 Inside, a simple material palette of steel, concrete and glass were selected. 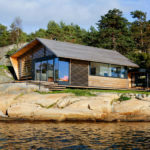 A combination of radiant floor heating, cross ventilation from the abundance of operable sliding glass, and an insulating green roof are used to regulate interior temperatures. Rich walnut accents and custom fixtures and furnishings by Jessica Helgerson Interior Design add warmth and character to the space. 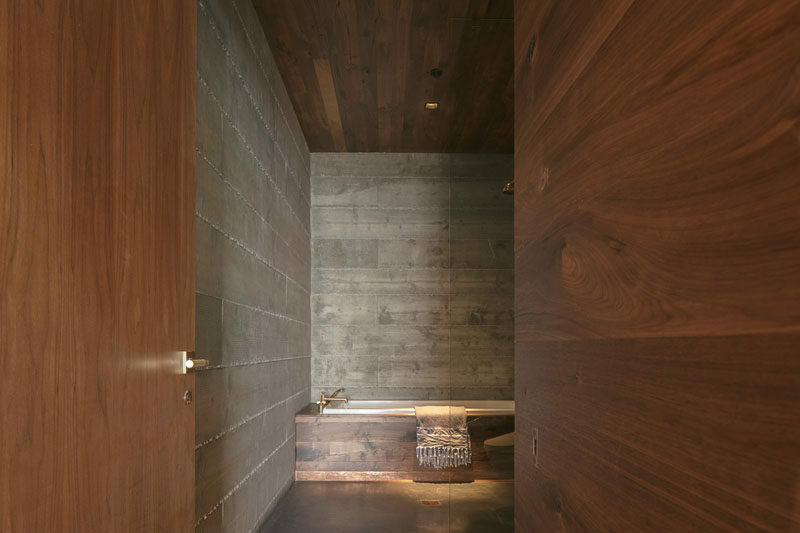 The home also has a private well and water treatment system, where wastewater is directed to a septic tank and dry well.